Call to see what we're currently offering! Could be anything from tomatoes to strawberries to peanuts--or maybe just kale! Fresh, unadulterated milk for drinking, cheese-making, butter, kefir, and ice cream! We milk once a day or as needed, and share the rest with the babies. Click here for more information about joining our HerdShare. Eggs from our hard-workin’ hens are $4/dozen. We keep a variety of breeds, so we get a variety of eggs--just for fun! We bake our own sandwich and artisan breads from a natural yeast starter. Call Tara at 423-488-3993 to order. $4-5 a loaf. Our boarders Cu and Doug Peterson keep their hives at Hidden Hills. We not only love the bees' honey, but we are thankful for their work pollinating our food! $8/lb. Each year we send a few of our herd to the butcher. If you'd like to stock your freezer with beef fattened from nature's best buffet, let us know! Questions? We can answer some them here! Tomatoes, lettuce, kale, collards, peas, okra, peppers, cucumbers, beets--whatever we like to eat the most and whatever we think we can grow here! In general, we stick to the most common favorites, though we do enjoy trying an occasional unusual item. We also like a variety within a group, such as different varieties of tomatoes. We also grow a nice variety of caterpillars, beetles, and moths :\. Where do you sell your food? We have sold our food at a variety of venues, from farmer's markets to our roadside stand. It has also been found at local restaurants and through several local farm-to-home delivery programs, such as The Weekly Fig. We have also offered u-pick options! No. First, without getting into too much detail here, USDA Organic may not be exactly what you think it is. Second, achieving that claim is costly and, in our opinion, not necessarily as amazing as it might seem. 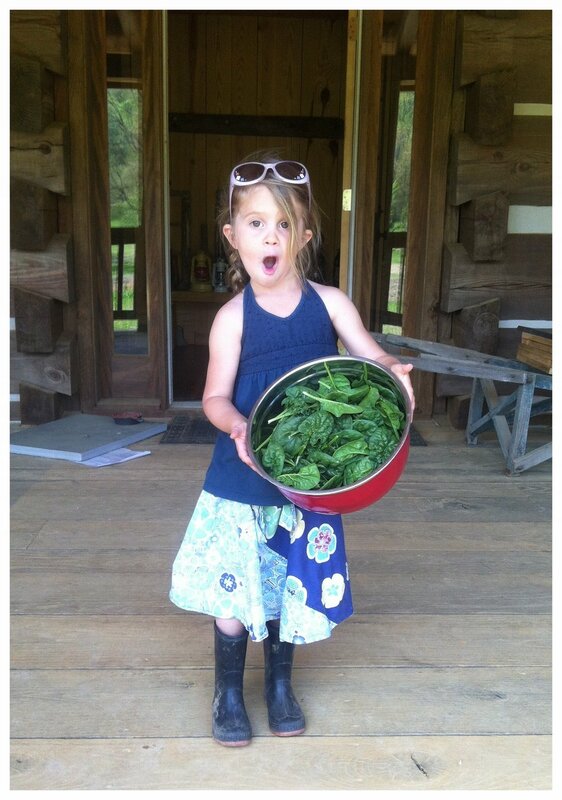 Our philosophy is that our kids should be able to eat it raw off the plant as much as possible. We grow our food naturally, and practice as many “organic” methods as we can. We’ve talked with many different vegetable farmers, from certified “organic” to the “regular” guys, and have realized that for us, there is a middle ground that uses the best tools to produce the best food we can as naturally and cost effectively as we can. We will happily share with anyone about how we manage the soil and pests. Why is farming/gardening important to you? Thanks for asking! As a kid in the ‘80’s, Mike spent a lot of time helping his grandfather in his truly organic gardens in South Georgia. They raised all the food they ate except some fruits and grains. There’s a lot to be said about the peace that comes from honest hard work and from being surrounded by plants and to have a first-hand experience of knowing where your food comes from. There’s no wonder why garden and self-sufficiency is making such a rebound in the US. The benefits go far beyond the table.